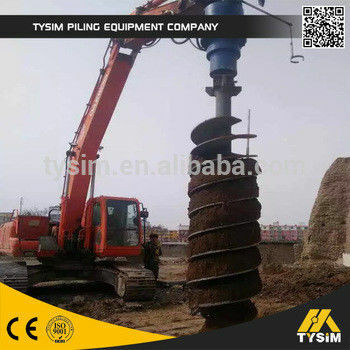 1 The leading hydraulic auger in China, is the most efficient equipment to do the post hole auger . 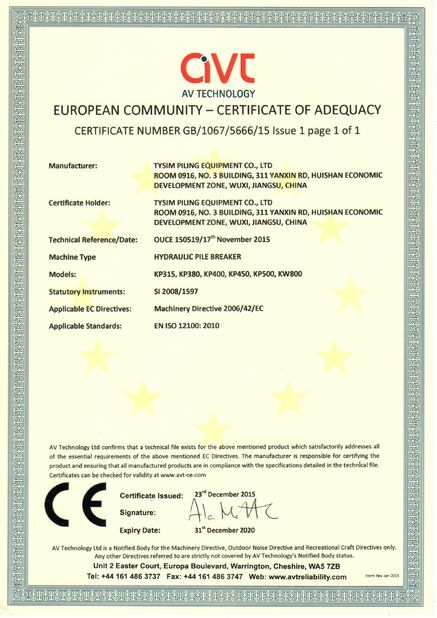 2 Can be installed on a large variety of equipment, realizing the versatility and economy. •Simply operated with less staff, reduce the construction cost. 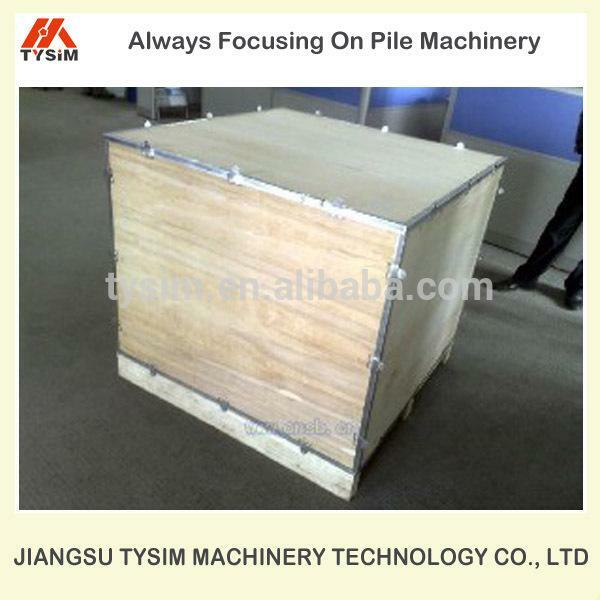 •Full hydraulic drive, low noise operation. 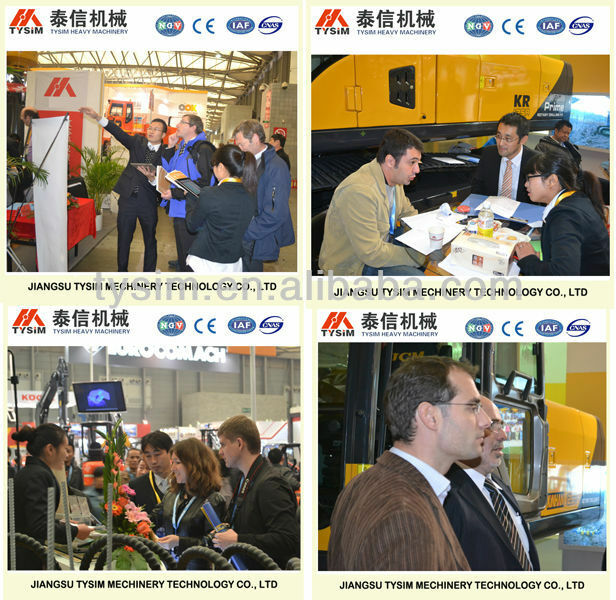 •Applying new material and new technology makes it much more reliable. •Excellent design brings customers optimal benefits. 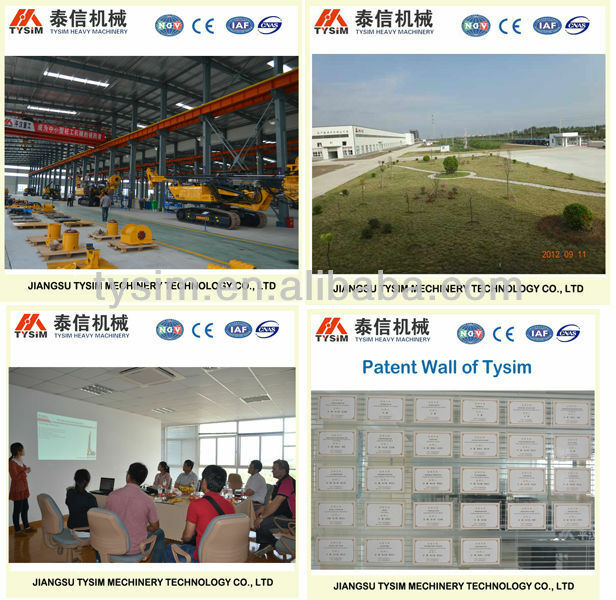 Jiangsu TYSIM Machinery Technology Co., Ltd. is specialized in the R&D, manufacturing and sales of piling machinery and auxiliary parts. 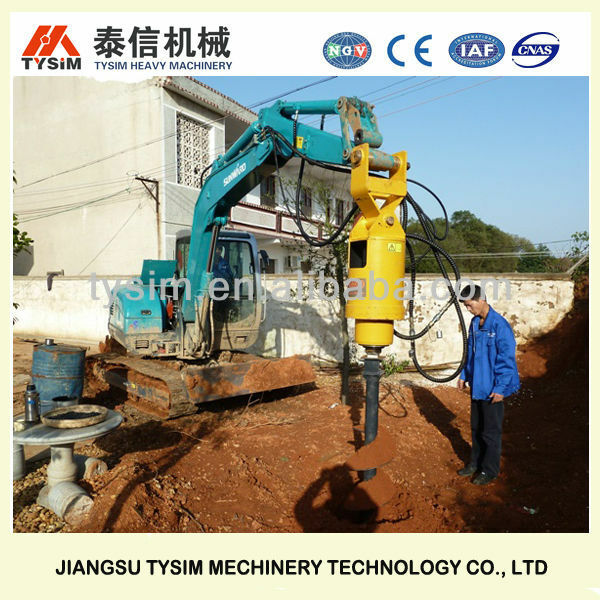 The products cover rotary drilling rig, full hydraulic pile breakers, mechanical diaphragm wall grab, piling auger and so on. 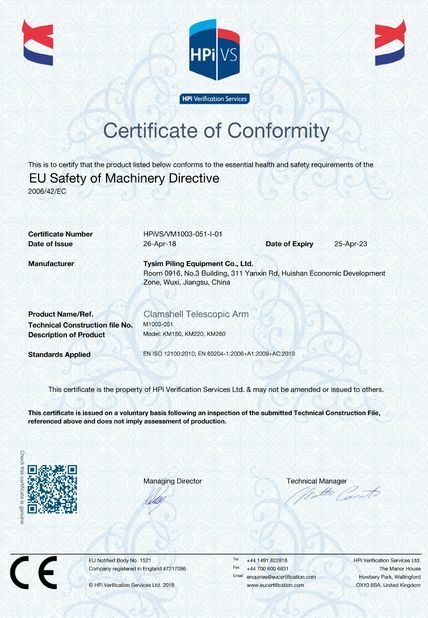 TYSIM has a team composed of senior researchers and technicians in the industry, and has established internationally advanced R&D system and technology platform. 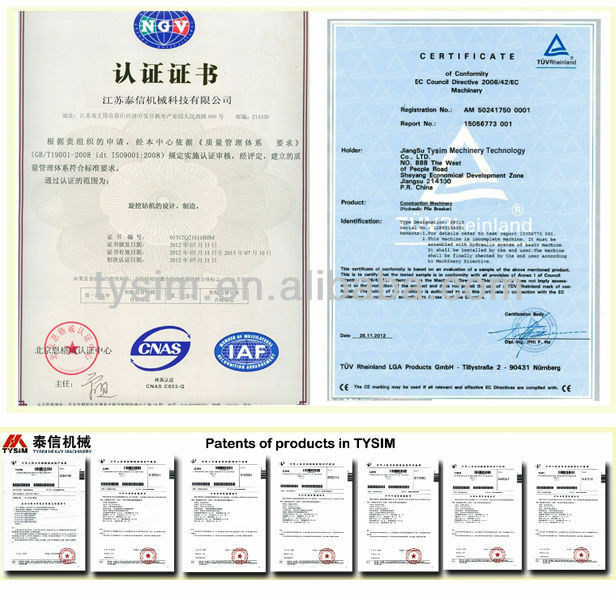 With industry leading management system and “lean” concept, TYSIM keeps improving product quality and build the core competitiveness. 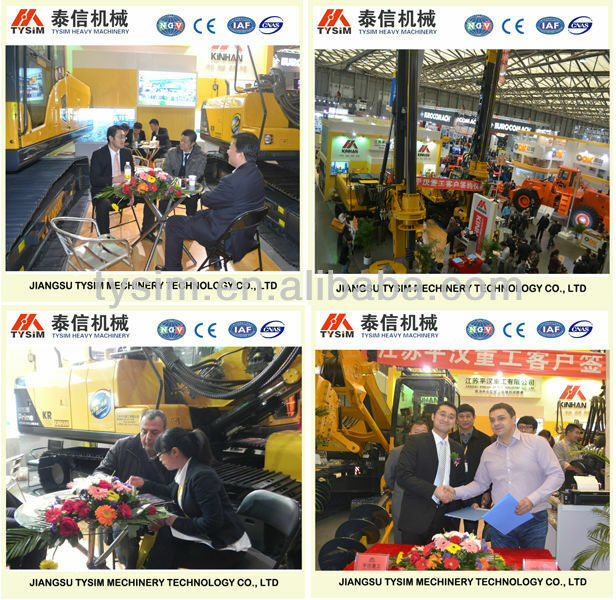 The company has established long-term cooperative relationship with scientific research institutes of famous domestic universities like Tianjin University, which provides powerful and lasting technology support for TYSIM’s long-term development.